New Orleans Saints quarterback Drew Brees needed just 201 yards to break Peyton Manning’s all-time passing yards mark heading into Monday night’s game against the Washington Redskins. Wanting to make sure Brees broke yet another record at home, the Saints came out passing early on. That included the future Hall of Fame quarterback completing 2-of-2 passes for 38 yards on an opening drive that culminated in Mark Ingram’s first touchdown of the season. Before too long, Brees himself was in the record books. It came on this 62-yard touchdown pass to Tre’Quan Smith in the second quarter. We never really do appreciate greatness when it’s staring us right in the face. Brees is great. He has been great. And those around the NFL community took time out of their evenings to pay respects to a man that might ultimately own every major passing record once he ultimately decides to call it quits. 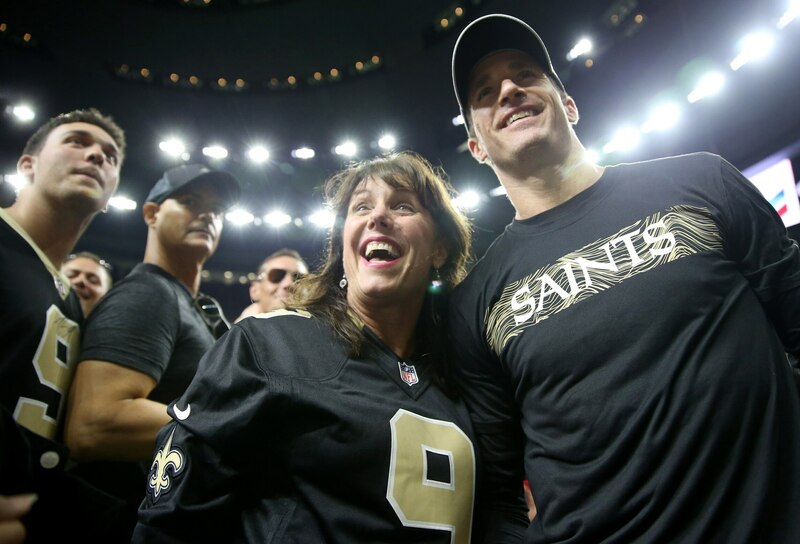 Here are the best reactions to Brees’ record-setting night in the Bayou. Can’t break a record any cooler than that. Wow! What an accomplishment for Brees. He still feels under appreciated on the whole. And if that doesn’t give you chills, check your pulse.